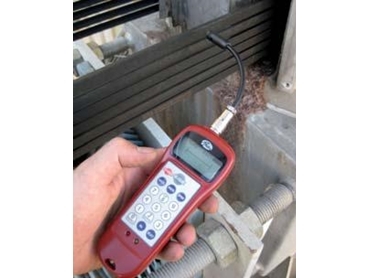 Gates sonic tension meters are now available from CBC Australia . These handheld devices can be easily operated by one person, and are suitable for use with all types of synchronous belt drive systems and v-belt drives. Providing fast and accurate readings, the standard cord sensor on these devices will even reach inside cramped compartments where conventional measurements would not be possible. an LCD screen with back light. In addition, an optional flexible sensor can be fitted to these units, which can be bent and repositioned for convenient, one hand operation. An optional inductive sensor can be supplied to measure belt tensions in high noise or windy environments.